Beautiful and defiant, Kristen Haardrad meets the hot, longing gaze of Royce, Thane of Wyndhurst, with icy fury - vowing never to be enslaved by the powerful Saxon lord who holds her captive. She is his enemy and his prize - a wild and lusty hellion to be tamed by her dashing conqueror's kiss. But though maddened with desire for the golden-haired Viking temptress, noble Royce, in conscience, cannot force his exquisite prisoner to submit. For only Kristen's willing surrender can quench the blistering fires that sear his tormented soul - and heal a heart consumed by passion with a soothing balm of rapturous, unconditional love. 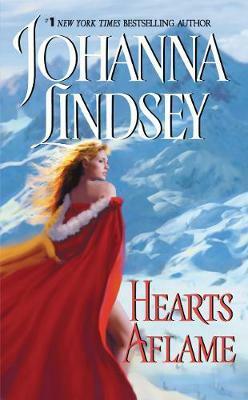 A master storyteller who spins romantic fiction like no other, Johanna Lindsey weaves together endearing characters, enthralling adventure and pulsating passion to create stories that touch the hearts of her readers. Kristen Haardrad met the fury in the crystal-green eyes of Royce of Wyndhurst with defiance. She was his prisoner, but his slave she'd never be. Yet Kristen could not know the torment that divided his soul; how he ached to hold her soft, supple body -- yet hated her for an ancient crime that was not his own. But the powerful Saxon lord had met his match in the golden Viking beauty -- his equal in pride, in strength... and in the fierce hunger of insatiable desire. Until, in wordless surrender, they cast aside the shackles of doubt and distrust to unite forever in the searing promise of all-consuming love.